Almost as soon as a court has provided substantive guidance on a particular area of immigration law, the law seems to change. So it is in R (Islam) v Secretary of State for the Home Department  EWCA Civ 500. The Court of Appeal in this case takes a fairly liberal approach to incomplete documents but the judgment is likely to be of only limited use, given that it relates to two routes that are now closed, and that the proportion of applicants in this position is likely to be miniscule. So we are left with a high powered Court of Appeal decision which has little direct practical utility in aiding our understanding of particular provisions, but which might have value in tangentially related provisions or on general principles of the Points Based System (I have a concluding point on that below). In years gone by, when the rules didn’t change quite so frequently, practitioners, decision-makers and applicants benefited from the wealth of judicial decisions which directly addressed the interpretation of specific sections of the Immigration Rules. Now we wait for judicial guidance and it is often irrelevant by the time it comes. These are hard edged decisions but the requirements of the PBS, the Rules and the Guidance are precise. Those who seek to make applications of this nature must take the utmost care to ensure that they comply with the requirements to the letter; they cannot expect discretionary indulgence beyond the very limited areas provided by evidential flexibility. As is acknowledged in this excerpt, the Points Based System rules did gradually admit of some softening of the hard edged approach by the introduction of “evidential flexibility”. The issue for many applicants is that evidential flexibility does not provide a caseworker a free wheeling discretion to be flexible on evidence, but only a limited discretion to accept documents not otherwise in the proper form and missing some information, within strict definitions. (b) where his business is trading online, confirmation of his ownership of the domain name of the business’s website. In fact these were the rules as at July 2015. By 2017 (for example) this specific section of the rules was drafted in a different way! So we have the Court of Appeal opining on rules that were substantively changed years preceding its decision (I could tell you when exactly this change occurred, but this would involve trawling through the Statements of Changes and I only have so much sanity). The fact the rules were changed isn’t that surprising; is it that common for advertising to show the name of the business’s proprietor? Why is the proof of ownership of the domain name a sub category of the advertising or marketing material requirement? For all the ‘precision’ of the Points Based System, this particular set of rules was a bit of a dog’s breakfast. Mr Islam in the event provided six print-outs of online advertising and four copy leaflets/ brochures. It was said that the supplied evidence did not cover the required period. It was also said the brochures did not demonstrate they were published locally or nationally, nor did they show Mr Islam’s name. The Home Office was not prepared to apply evidential flexibility and the Upper Tribunal aligned with that decision, saying the deficiencies in the documentation were too significant. 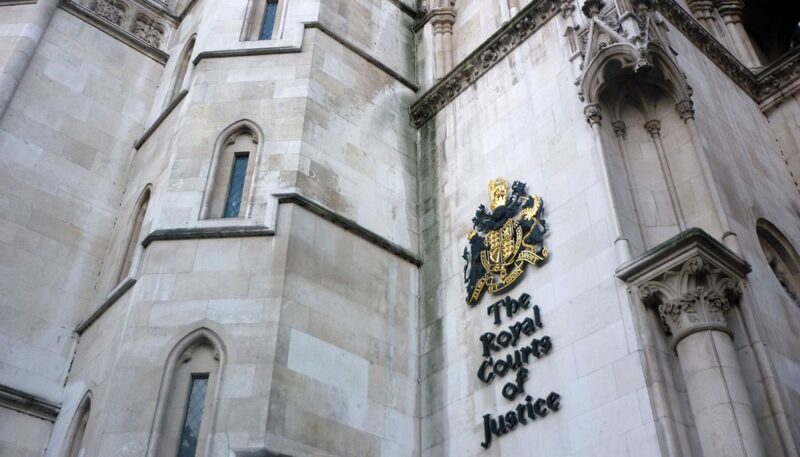 The Court of Appeal considered two grounds; did the documents in fact satisfy the rules, and even if they did not, should the respondent have engaged evidential flexibility? it is not open to the Respondent in effect to require an additional specified document which is not listed or to require the document itself to show or state something which is not prescribed in the paragraph as needing to be shown or stated by the document. However even on a more liberal approach to this aspect of the rules, Mr Islam’s documents came up short. This led the Court of Appeal to consider the second main ground of appeal: should the Home Office have considered evidential flexibility? Applying the test enunciated by Underhill LJ in Mudiyanselage those print outs were not “the wrong document” and the information missing was not so wholesale as to affect their fundamental character, particularly given the other material that had been provided. So Mr Islam should have the benefit of the evidential flexibility rule. Great, you might think, but it occurs to me that it might be a tricky task to provide further documents that might satisfy the rules relating to your business activities four years hence. This case illustrates the abject failure of the Points Based System. The rules were neither predictable nor clear, and very senior judges have had to direct significant thought to some very complex matters in trying to make sense of them. The rules have over time drifted further and further from any sense of clarity and objectivity, blunting their original purpose. Appendix W is designed to be clearer and easier to read than existing rules for the Points-Based System. It is anticipated that other categories for workers will be added to this Appendix as the immigration system is reformed over time. The new categories nevertheless include similar provisions to the Points-Based System regarding evidential flexibility, switching categories, English language and maintenance funds requirements, qualifying for settlement and the ability for dependants (partners and children under age 18) to apply. We might be considering the cases on evidential flexibility for some time yet.